UPSC Topper Debotosh Chatterjee: No Coaching,1st Attempt,Pol.Sci. Work-experience if any Have been working as a blogger and freelance writer for the last 5 years. Missed cut off in RBI Grade B 2015 Prelims by 3.5 marks. Missed cut off in Phase 1 of IRDA JO Recruitment 2016 by 1 mark. Details of coaching, mock tests, postal material for any competitive exam (if used) No formal classroom coaching. Took GS Test Series from Vision IAS and Political Science Test Series from Trademark IAS (Kolkata). With the present format of the exam, it is way more peaceful and useful to opt for self preparation. Hobbies & Extracurricular achievements Crazy about a couple of things – Writing and Cricket. The last 6 years of my life literally revolved around these two! Like so many UPSC CSE fanatics, my tryst with Civil Service started during my school days. Even though I belong to a middle class family with no civil service in the pedigree, I used to hear a lot about “IAS” in my childhood from my father and some close relatives. A few of my favourite teachers also used to talk encouragingly about the Civil Services, every now and then. This slowly led to my growing interest in this field as I started reading magazines like Competition Success Review and local newspapers even before Class 10 exams. After failure in IITJEE for two consecutive years (2010,2011), I became convinced that I really do not have much taste in these technical fields. However, hard pressed for options, I had to go for Chemical Engineering at JU since I really had nothing else to do back then. By that time, though, I had already made up my mind about CSE. It had to be my numero uno priority in life from thereon! Started blogging and writing professionally, besides reading 3 to 4 newspapers rigorously on daily basis. It all started in early 2011 when I was yet to get into college, and almost 5 years later I have tasted the fruits of my dedication and determination. So strong was my ambition that I outright opted out of the college placement process in final year. I feel that for success in UPSC, the key lies NOT in selecting many sources. Rather, it is all about separating the chaff from the grain and prioritizing only what is necessary. The whole idea of reading using electronic material does not fit into my strategy beyond a certain point. Hence, despite so much electronic material available, I mostly used books, newspapers and hard copies of PDF files. However, to save time and make the preparation more efficient, I used to make notes on One Note. Tackling information overload : I always restricted myself to a few trusted websites. Some of them are Mrunal, Unacademy, IDSA, RSTV Youtube Channel, etc. Once these information sources are narrowed down, it becomes very easy to maintain discipline and follow them. However, even from these websites I used to be very selective at times. E.g. I did not follow RSTV discussions on political issues which had no bearing on my UPSC preparation. I could never revise from PDF files or make effective use of RSS feeds, so avoided those things. Mostly hard copies and a few trusted websites – that’s good enough. Daily Routine : I did not have a tight routine. Rather I used to fix daily/weekly targets and tried to achieve as much as possible. This I used to do throughout the 12 months of preparation to keep myself on track for finishing the syllabus in quick time and revision subsequently. However, I must say that aspirants should try and avoid the “night bird life”. I changed my nocturnal routine to a diurnal one very early during the preparation, and my efficiency and health improved quite a lot. Note making : Made notes only for things which were NOT STATIC or were TOO BIG to be read as a whole every time. Where I made notes – Daily newspapers, RSTV Debates, IDSA articles, 12th Five Year Plan, Economic Survey, Optional Subject. Where I DID NOT MAKE notes – NCERTs, Textbooks like Laxmikanth, Bipin Chandra, etc. About 3 months into the preparation, I realized this problem of mood swings as I lost almost 15 days trying to get past some annoying issues. I also realized that I can not let such mood swings damage my preparation after this. So I decided to take it light whenever such periods of limbo crept in. One can not study like a macho for 12 months and not do anything else! So I always used to set aside 1 or 2 days in a week or two for good Hollywood movies. I am a movie buff, and good movies always managed to bring me back on track. During the off-days, atleast newspaper reading should be done. Occasionally taking a day-long break is absolutely NECESSARY. Besides, listening to songs during times of mental turbulence helps calm things down. I preferred Hindi songs of the 70s an 80s, along with Rabindrasangeet. Not applicable (Though I was a professional freelancer, the job rarely took up more than 2 hours in day and still gave me enough pocket money). History Modern (Freedom Struggle) Started with Bipin Chandra. After completing it in 7-8 days, switched to Spectrum for all purposes in the exam. Spectrum is a brilliant book for easy revision in both Pre and Mains. Economy (theory + current) Mrunal videos (Wow!) + Economic Survey + NCERT Cls 12 (Macro only) + NCERT Cls 11 + Sanjeev Verma and Ramesh Singh (selectively). First 3 are most important. Focus on KEYWORDS in whatever you read for Prelims. Science (theory + current) Very haphazard. Lucent + Unacademy + Mrunal. Had background in Science so not much of an issue with the basics. Humanities people should read NCERTs (Cls 6-10 if necessary) for strong basics. Vision IAS Current Affairs necessary for latest scientific developments. Environment (theory + current) Shankar IAS + Unacademy + Vision IAS Current Affairs. Schemes, Policy & Filler Stuff New Vishal’s India At A Glance 2015 (a compressed version of IYB). In Prelims these days, 2 or 3 questions are always from IYB. So, if there is time, this filtered version of the book can be very useful. The paper reinforced the idea that nobody can second guess UPSC w.r.t. pattern of the GS Prelims paper. In 2013, 2014, 2015 we have seen 3 entirely different brands of question papers. So, I would request aspirants to fortify their basics in ALL the GS subjects. Otherwise tackling such diversified and unpredictable papers can be tough. And yes, please focus on keywords in Current Affairs too. It can save or ruin your day! I would try and be more diversified in my approach, i.e. not try and expect anything from the paper. In 2015, I was expecting either a factual or a conceptual paper, and UPSC surprised us with a paper loaded with Current Affairs. So, for future aspirants, DO NOT try to guess what the paper can be. Instead try and plug as many loopholes in your preparation as you can. That means Factual, Conceptual, Current Affairs, etc! The completion is very intense, and any laxity in preparation can be a cause of missed cut offs. Leave nothing to FATE or UPSC. Practice more MCQs, revise more, whatever it takes. It is essential to stick with 1 or 2 books per subject and revision them 5 to 10 times before going to the battleground. It is not much of a headache now for even the die-hard CSAT haters, with qualification at just 66 marks! This year’s paper was quite normal, and I expect it to be so next year also. Yes I did attend a few of those. But never spent a dime subscribing for the costly Test series of coaching centres. Took tests which were available free of cost every now and then (E.g. Vision IAS Open Tests) and gauged my preparation. Just a few tests are enough, if one has practiced enough MCQs and has mastered the art of making “calculated guesses” (70% of Prelims GS paper has questions with NO direct answer!). your regional language Practised a couple of essays a week before the exam. Familiarized myself with the question pattern using last 5 years papers. The regional language papers have become very dicey these days. There was a sudden change in the pattern of Grammar questions this year, and that meant I could not even touch 20 marks grammar in the paper. Translations have become a tad too tricky and difficult with every passing year. The paper CAN NOT be taken lightly at any cost. However, some simple revision of things learnt at school, in the last couple of weeks before Mains can suffice. I have been writing almost 600 to 800 words on an average every day for the last 5 years, courtesy my freelancing job. So I always had a natural flair for writing. Hence no preparation needed. However, my strategy for Essay was to choose topics for which a lot of current information and well accepted analysis is already available. PLANNING the essay before writing it is extremely crucial, and I spent close to 35 minutes in the exam hall planning the two essays. 1: “Dreams which should not let Indian sleep”. Whenever I write on such broad issues, I mentally divide them into “Political” “Economic” “Environmental” “International” “Ethical” sections, just the way I have divided my ONE NOTE file. Here also I categorised India’s dreams into such sections and added lots of facts, figures (Econ Survey, 12th FYP, etc) and current examples to substantiate my points. For getting above average marks in Essay, EXAMPLES and RELEVANT facts are CRUCIAL. So, always keep such stuff ready at hand (e.g. literacy rate, latest govt. committees on sensitive issues, health indicators, etc). 2: “Education without values ….. man more clever devil”. This topic had immense relevance with Ethics and Political Science. Besides, the statement is clearly stated and not much controversial stance needs to be taken. Here again, I started with examples from Ancient Greece and followed a timeline from Industrial Revolution and British exploitation in India to cyber crimes and scams of present. Substantiated using quotes of thinkers and practical arguments (e.g. wrote about how UPSC itself had added Ethics paper to emphasize on education laced with values). In both essays, I made lot of paragraphs which facilitates easy reading and gave headings and sub headings wherever necessary. world history Norman Lewis. Used a Vision IAS pdf for revision purposes, as it expertly compressed the whole 600 pg book into a 200 pg document. Very essential for saving time, or else World History can take ages to complete. It’s very interesting, though. Indian society NCERT Sociology Cls 11, 12. But UPSC questions are mostly based on common sense. So can be skipped. Budgeting Vision IAS (ignore static and factual content if time is at a premium). major crops, irrigation Nothing special. Focussed on recent issues – e.g. fluctuating prices of Pulses; MSP issues, etc etc. technology mission Vision IAS Material (mostly static content, so had to rely on Current Affairs). science-tech day to day life Vision IAS S&T document released in November 2015. But UPSC questions were not mainstream factual ones. Seems like the stress on opinion-based questions is going to be the trend from here-on, as far as GS III S&T is concerned. Indian achievements in sci-tech Skipped. Only current affairs. awareness in IT, space, biotech, nano, IPR Skipped. Only current affairs. environmental impact assessment Shankar IAS. Static content not essential, in my opinion. Disaster Management Vision IAS, MHA Document. organized crime, terrorism Focus on Current Affairs. No need to memorize What? Who? When? Type of GK stuff. Form opinions on recent issues like money laundering. security agencies- structure mandate More or less skipped. Only current issues needed. E.g. I focused on AFSPA as it was in news last year, and there was a question on that! moral thinkers of India and world Part of Political Science (optional syllabus). No separate prep. Yes, there were some awkward case studies (Dalit cook in school), and weird questions in the first part which made the paper very lengthy this time. However, I feel that good answer writing abilities can help you get “safe” marks even if the paper is not as per expectations. Besides, attempting the whole paper is also helpful in papers like 2015 Ethics, where one cannot exactly know the high scoring and low scoring answers. As I have always believed, it is better to go into the exam hall thinking that the question paper can have ANYTHING! Because it is UPSC, after all! Opt-P2 150 marks 100 marks (in Section A), due to too much time spent in Section B Could not complete the last sentence in the last question! Rest fully attempted. I always knew that the fight for a place in the ULTIMATE PDF always happens over a narrow range of marks. Since the interview is absolutely unpredictable, Mains in all that we have to mop up the marks. And for this, EVERY SINGLE MARK must be fought for. Besides, this was my First Attempt and I did not want to leave any stone unturned. So attempting ALL questions was Priority No. 1. However, there were 3,4 questions in every paper which I used to attempt in the last 10 or 15 minutes, whereas the best ones I attempted first. I had a 6,7,7 or 7,6,7 hour-wise breakdown plan for attempting the GS papers. The wrist watch is a real game changer in the Mains exam! Good enough. Helped me keep my answers within “reasonable limits” despite overshooting the 200 or 150 word limit. I wrote almost 99% of the GS answers in bullet points with small intro and conclusion for most of them. However, into and conclusion is not always possible due to paucity of time. Bullet points format helped me think quicker than usual and produce answers faster. For Optional, I used the Paragraph format since Political Science is a humanities subject and answers are supposed to be written from the point of view of a specialist. Followed it in most of the questions in GS. Missed it when hard pressed for time. Happens when the wrist watch indicates that I am struggling to keep my hour-wise breakdown intact. Just a few here and there. Mainly in Geography (GS I). Did not have time to innovate and create diagrams elsewhere. By Hand. Time is very cruel to those who try fancy things. Blue. Pilot V5. Absolutely fantastic pen, with an awesome speed. Political Science and International Relations (PSIR). Loved International Relations since before I joined college, and was also confident about the Constitution and Indian National Movement part because a strong foundation was built during school days. Plus, I had a flair for writing and PSIR is known to be very kind to people who are creative with words and language. I would, ONLY if they are INTERESTED in it. If you go by “popularity” or “scoring potential” or “success rate” of PSIR, it might doom you to ridiculous failure. I have heard of people getting marks in 20s and 30s after attempting 250 marks paper in PSIR. So, interest and love for the subject count the MOST. Paper 1 Section A – Completely static part of the syllabus. Multiple revisions of given resources helped. Besides, I DID NOT refer to too many books, to save time. Spend adequate time and you can master this section well enough. Paper 1 Section B – More or less overlapped with GS I and II, but had to be read with the flavor of optional. Good command over Current Affairs can give you the edge over others in the Polity section. Indian Polity – B. L. Fadia (Very selective) + Shubhra Ranjan Madam Notes + Laxmikanth (this book is anyways read by everyone for basics). Paper 2 Section A – Dynamic as well as static in some sections. Need time to fully grasp the concepts, as they can get a bit confusing at times. Selective study from Internet for some top priority topics (E.g. WTO, UN, etc). Paper 2 Section B – More or less ALL about current affairs, with some links to static stuff. Some basic books for foundation building should be reading. Shubhra Ranjan Madam Notes (If you feel necessary, otherwise can be skipped for this part). Necessary mostly for Paper 2 (International Relations and Comparative Politics). IR is something that takes a different colour every other day. So, books and coaching notes may be useful for getting familiarity with the subject, but rigorous focus and analysis of current affairs in international arena is necessary to score good marks in this. Writing has been my part time profession for quite some time. Hence, was not worried about my writing abilities despite 2015 being my 1st attempt. However, it is essential to get into the Mains answer writing mode atleast 2 months in advance. I started taking Mock Tests 2 days after Prelims results were declared, i.e. from 15th October, 2015 onwards. Mostly SR madam notes. But added some of my own handwritten notes to it. For those parts of the syllabus which were overlapping with GS, I used consolidated notes in my One Note file (e.g. International Relations). It was easier than the previous years. However, the marking and the scaling seems to have been proportionately stricter. And the PSIR average performance in 2015 has not been good enough. However, marks in most optional subjects have seen some dip this year. Never took much stress since I believed that cramming too much information into my head before the interview can be a recipe for stress. Hence had some light dosage of current affairs (especially international relations), hobbies (when? Why? How? Type of questions) and brushed up basic knowledge related to home town, state, school, etc. More or less skipped the college graduation subject since I did not want to waste time reading something I hardly bothered to understand in the last 4 years. And this paid off since the interview board did not grill me on Chemical Engineering (my nemesis!). Yes. I attended 2 mock interviews in Kolkata. It is important to get a feel of how things are going to be during the actual interview, and a couple of mocks are helpful in that case. However, quality of questions and state of mind are highly different in mocks and UPSC interview. There is no need to take more than 3 mocks, if your interview date is very early after Mains results. Damodar Valley Corporation Guest House near Safdarjung Hospital. On the night before the interview it is important to stay cool and not think too much about the ominous ‘tomorrow’. I watched the ICC World T20 which was going on at that time. Stress reliever! And as far as revision is concerned, just googled a few cricket related terms (chinaman, reverse swing, etc) since my DAF was loaded with Cricket. You cannot have food in the morning that day. Always carry a packet of biscuits or some dry foodstuff which you can eat immediately after some of the first few tests. Otherwise, you might have to go hungry for 8 hours at a stretch until the check up is complete! And yes, wear glasses and carry the prescription if you have any near/far eyesight issues. Light blue shirt (full sleeve), formal trousers. NO TIE; NO SUIT. You can radiate enough confidence in even the simplest of formal attire. Around 30 to 35 minutes (may not be precise). This question was not asked. I was never interested in my graduation field, to be honest. And hence had no hesitation while going for UPSC right after graduation. The charm of civil services was inescapable, right since my school days. 2. What would you do if you have to find the distance between Kolkata and Delhi, sitting in this room? Ans – 1. I would check the ticket. He says, no you dont have it here. 2. I would check the internet. He says, no you dont have internet also. 3. Try and find distance between the two cities and some known points and then add them together. He says, it is v difficult sitting in this room. 4. I would try and ask you, since you might be having the answer. Chairman blushed, smiled and said, no you have to answer by thinking. You can not ask the other person in the room. 3. Asked about 'Why India had missions abroad?' I answered from the context of diplomatic missions, but i think he was also looking for peacekeeping missions, may be. I missed that. 1. Questions on geopolitics – answered. 2. Why USA and Australia do not have same global clout despite similar geographies? I said Resources, Population, Leadership and Evolution through the years were highly different. So, he asks me whether USA and Russia (dont remember whether he said Russia or USSR) are comparable. I said, Yes they were comparable at some point of time, but Russia lost out in the race due to wrong choices and rigidity in governance. 1. Why are you not wearing a tie? Everyone seems to be wearing it. I was expecting this, and replied by saying that I have never used a tie, and have also not worked anywhere in any capacity that would have necessitated my using it. So, i decided to keep it simple and not take a risk with something that i am not accustomed with on the BIG day. 2. What would you say if someone walks into the room wearing a 'lungi'? (I had in mind the 'lungi' that rural folk in Bengal wear as informal dress, and so said that it would not be appropriate). He says, “Why? .. P.Chidambaram wears it everywhere”. I was a bit surprised and pointed out that for South Indians, lungi is a formal dress and a part of their tradition. He asked another question on Lungi, but i said “Sorry Sir, I have not met or interacted with anyone wearing a lungi, so i am unable to comment on the various dimensions of the dress”. He gets startled and says "Oh! You have never been to South India!" Then M3 points out "He is very young. How old are you exactly?" Then the Lungi tirade finally stopped. 3. Questions about St.Francis Xavier(school related question). Which Church? What is the difference between Catholic and Protestant Church. Answered correctly. 4. Some vague question on how industrial revolution in England and France were differentiated by choice of Church! He quoted Max Weber here. I said Sorry Sir, unable to comment. 5. How much do you know about Chemical Engg? I said i know some basics, but not entirely confident about it. M3 suddenly asks, with a smile, "But JU is a world class university". I also smiled, and was about to reply to this, when suddenly M1 started with next question. 6. What is Charles Law, Boyle's Law? What is Absolute Zero and its significance. (Answered more or less correctly, even though could not properly explain the significance part). 1. You write letters to newspapers(DAF). Why and on what issues? Explained well and said that i have been doing this since a very young age. 2. Are you worried about the student agitation in JU? I said no, its mostly the chaos created by the fringe elements that gets portrayed as something being endorsed by everyone. In reality, the atmosphere in the college is constructive and democratic with enough scope for free flow of ideas and information. He smiles and says "So, you are saying Golden Mean is the Golden Rule"(something of that nature). I smiled and said Yes. 1. Why did you not write those letters directly to concerned department? ( I had earlier mentioned that one of my letters was centered on a 18-hour long power cut in a district hospital). I answered, i was very young back then, and did not have the proper resources to report such issues directly to the concerned department. But that i do try and take that route for certain issues at present. I was about to explain the context of that particular letter on Power Cut, when M4 starts out of nowhere. He then starts with a very long lecture on how our courts have a habit of letting accused go scot free, and asks me whether this is 'inbuilt' in our judiciary. I pointed out that there are certain problems in our judicial system (pointed out the obvious ones) and that aberrations are there, but nothing like that is 'inbuilt' in the system. 3. What improvements are needed in judiciary. Points out that collegium system is not working. Answer – Need more transparency in appointments, the way it is for Civil Services, where even a common man can understand the recruitment process and see the credentials of those being recruited. Judicial appointments are opaque and can be improved upon. Also pointed out problems with lower courts, and how Supreme Court alone can not handle everything. Also mentioned that critical review of judgments delivered by courts (atleast the higher judiciary) is needed, just the way there is Law Review in USA. Here Chairman intervenes, and asks should we blindly copy anything which appears good somewhere? I said, No but we can use such ideas and make sure that they are appropriately adjusted for our specific context. He nods and says 'Yes, we should see the bigger picture'. Even though i was stumped on a couple of occasions, I felt good during the interview, and had a smile on my face. Never felt stressed out. It was not a stress interview, but as people say, Mr Deewan’s board always comes up with strange interviews. Mine too was a bit weird at times, as can be made out from the transcript. A soothing smile on the face and steadiness in body language can help ward off uncomfortable situations. All details will be given along with Interview call letter. Nothing to worry, UPSC is very lenient in some of these things too. Check your weight 2 to 3 weeks before the D Day. Shed some weight if you have to. If they mark you overweight (calculated using BMI figures), then a hectic process of re-examination can really get frustrating. I was not overweight, but still shed around 4 kilos before check up to stay in the ‘Normal BMI’ range. A gazette notification states all the Tests that are to be done during Medical. Look for it on the internet. There is a good post in Mrunal too, about the medical check up. Better preparation for Optional Paper 2 (I was not thorough with Comparative Politics section this time). More answer writing practice, and better coverage of static syllabus in GS I. More comprehensive GS prep for Prelims is needed to beat the heat of ever increasing competition. Some peaceful job in banking/insurance sector or SSC CGL. Was confident about clearing some decent exam very soon. Anytime. I had already appeared for a selected few exams like CGL and RBI Gr B in 2015 and IRDA JO, LIC AAO in 2016. Was going to write NABARD, GIC and UIIC prelims in May-June 2016 if UPSC results were not positive. Almighty God, however, had different plans for me. I feel that if one is comfortable with UPSC syllabus after 1 or 2 attempts, he/she should take a light job and continue preparing. This reduces the constant headache of being unemployed. YES. ABSOLUTELY. Gives a lot of advantage to people with backgrounds in those subjects. Also, not all graduation subjects in India are there in the Optional list. So, these 2 papers should be scrapped and some useful addition can be made to the GS syllabus, like the way it was done in 2013. This can make the exam open to all. Not desirable. Atleast some weightage should be attached to the CSAT paper like GS : CSAT = 60:40. Besides, as the results indicate, this move has not helped the CSAT haters qualification chances to any extent. I personally prepared at home, which is in a small town named Durgapur, almost 1600 kms from Delhi! And I did not rely on coaching notes for GS papers in any way. However, for Optional subjects the coaching notes become necessary (and those were indeed very helpful in my case!). Hence I suggested the complete removal of optional. However, the availability of Internet has created a better atmosphere for aspirants from far off regions, who no longer need to feel isolated. Besides, there are awesome people like you who help aspirants better than any coaching institute ever can! Yes this should not happen. Some people who are interested only in CSE apply for IFoS just for fun. The two Prelims exams should be clearly demarcated, as their structures differ considerably. YES, absolutely. No point creating a situation where even the serious aspirants lose so much time choosing among answer keys of different coaching institutes (which are rarely 100% accurate). Prelims may be conducted online, but I do not think there is any scope of doing that for Mains. The paper format of Prelims, however, is pretty smooth for now. (2) Make Interview marking more rational by using atleast 2 boards. (3) Slightly reduce the weightage of interview in total marks. (4) Release Prelims answer keys a few days after the exam. (5) Shortening the whole exam process as much as rationally possible. I had pathetic scores in Class 12 Board and Graduation. This was despite the fact that I used to be a topper at school. However, it was my firm belief that the best things in my life can happen irrespective of any ‘marks/profile’. I am a fresh graduate with ZERO work experience and do not have the luxury of having an IIT or DU ‘tag’ in my education history. And yet, I qualified in my 1st attempt. That’s because I believed I could. In UPSC, especially, things like marks and profile mean almost nothing. For those who know about Kung Fu Panda – “There is no special ingredient. It’s just YOU”. Fear is a good thing at times (ask Bruce Wayne, aka Batman). However, anxiety is not good. Spend as much time as you want before you jump into the UPSC fray. Plan, think, extrapolate, etc to see whether you can find the right balance between risks and rewards in appearing for this exam. I took almost 2 months to come to this decision. However, once decided, be ready to face the uncertain world of UPSC. Have the hunger to succeed, but do not be too scared of failure. Give your best, but be prepared to face the worst. And yes, even though it is UPSC, try and leave nothing to FATE or LUCK. Smart and hard work is helpful in negotiating these two elements. I know a thing or two about failure, having failed in too many things (exams, friendships, relationships, etc) in the last 6 years. Try reading quality books (e.g. The Goal by E. Goldratt) or watch some brilliant movies (The Pursuit of Happyness) to keep your chin up. I used to watch inspirational Youtube videos every now and then. The saying goes like this – “The toughest man to beat is one who can laugh at his own mistakes”. My failures in the last few years strengthened to me an extent that I crossed the UPSC hurdle in my 1st attempt, while preparing at home. See, failures do help you succeed later on. Keep going! My parents. My younger brother. A few close relatives. A couple of friends. The rest of the world did not even know what I was doing since graduation (‘Lagta hai isko koi naukri nahi mila’, they believed!). Youtube lectures on Economy are absolutely WONDERFUL. Such free stuff is very precious to us who are doing self preparation. Besides, I took the baby steps in the formal preparation for CSE, way back in December 2014, by exploring Mrunal’s website. I am lucky that I had come across your work even before I started prep. Made a LOT of difference to my LIFE. Just keep going. Do not stop. It’s a brilliant site. Hello brother i am really motivated in knowing your success story. Now i am undergoing bds 1st year and am going to start my scedule for CSexam. Thanks for the inspirational norms provided. Hi Debotosh, First of all congratulation for your success. 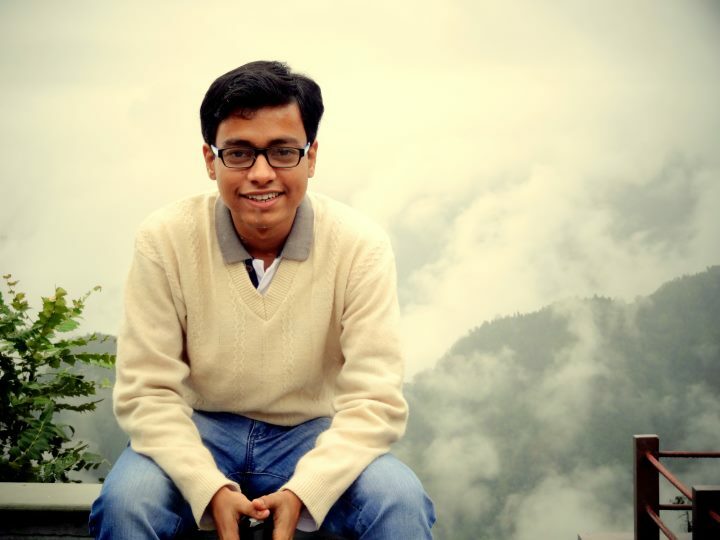 I am debnath, left my Ph.d and started to prepare for UPSc. But I have doubts. Pl if you will give some suggestion regarding my doubt then it will help me. 1) I did my 10th,12th, Bsc(physics hon) everything from my native village Birbhum with bengali medium. Now when I am reading NCERT, then to read 1 page it takes 4-5 hours, in each line of hindu out of 10, 7-8 words are new to me. So I am worried that how can I manage this much giant syllabus if things going in this way. How can I improve it ? Even 2-3 pages of Laxmikant it takes 7-8 hours. By the way I have only 2 attempts left according to my age. 2) As from your so many blogs, question and discussion, we know that 70% of upsc syllabus consists of dynamic parts that means from current affairs. But apart from this we also have to read basic books such as polity:laxmikant, economics:romesh singh, history:bipin chandra, geography:NCERT(11&12th), G.c.Leong, art & culture:nitin singhania. Could you pl tell me for each book which selective chapters we should read. As per my concern if I will give so much time to read basic books than I will have less time to read dynamic part which is most important for this exam. Am I right or wrong? Please give reply to my quarries? 3) How can I remember this so much huge gigantic syllabus (static+dynamic) in that short time period? As earlier I mentioned that I came from fully bengali medium (that is why facing so much difficulty), thinking and memorizing everything in bengali and after when for writing part again convert bengali to english. So to make this cycle read things in english> storing/thinking bengali>reproducing english I face extreme difficulty. Also I have not left so many attempt. I have already completed 30 years. So in this moment how can I improve things? Thank you. 1. Initially, it will seem laborious and tough. But read the same text multiple times. It will start making sense gradually. Keep a dictionary near at hand, if you are having difficulty with the words. 2. Regarding what to read from the books, I have mentioned that in this interview itself. Do go through it once more. 3. Unfortunately, there is no shortcut for this. You have to work harder than usual to get going. The syllabus is not gigantic as such. Once you get going after the initial period of hesitation, things become simpler and more objective. Dear Debotosh da, Congrats on your success. I am Shahid from your home town Durgapur. I am a bengali medium student and i preffer to go for WBCS. As my family background and economy i didn’t have the urge to go for coaching centres. You are my inspiration sir. I want some dictations from you about your preparation specially mentally. If you have some time in your busy schedule for a little bit conversation with me it will be very helpfull. Sir ,my optional subject is Political science and international relation . what is the best strategy for getting best marks in Political science and ir without coaching . please suggest me best reference books for it.How to make Short notes for optional political science and ir . Sir my self Lilly biswas from karanataka now I completed my 12 examination from science flied and I want to be an ias officer I want to do bse for my dgree and I don’t have any coahing for ias in my city and cannot go any other cities due family promlem so I want prepare my self so please can u give me some tips. hello sir,a hearty congratulations ! i’m a student with pol.sci. background…. i’ve heard lot about Shubhra mam’s notes …it will be really kind to provide me information regarding access to mam’s notes. …my e-mail id is…[email protected]. I have a question. In which medium you gave your answer? Bengali or English? Is it possible to give main exam in English and only optional in Bengali? I am from Hooghly, West Bengal.